Home successstories Online sales of fish - a Young man earning millions. Online sales of fish - a Young man earning millions. 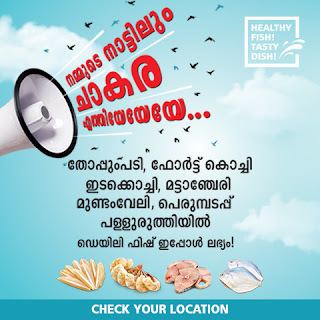 DailyFish.in one of the major online fish selling company from kochi,kerala,india. They dealing only various types of fish items, and earning crores within short spam of a time. Owned and managed by Alex K Thomas - C.E.O of Dailyfish.in. All Types of finish availability. And User Friendly Software or App. This is one of the idea from our smallest state, if you have good idea, immediately start it and also achieve it. An Idea Can Change your Life.